On a recent glorious winter weekend, Johny and I went for a drive to King Island. King Island is barely more than a raised sandbank off the tip of Wellington Point. 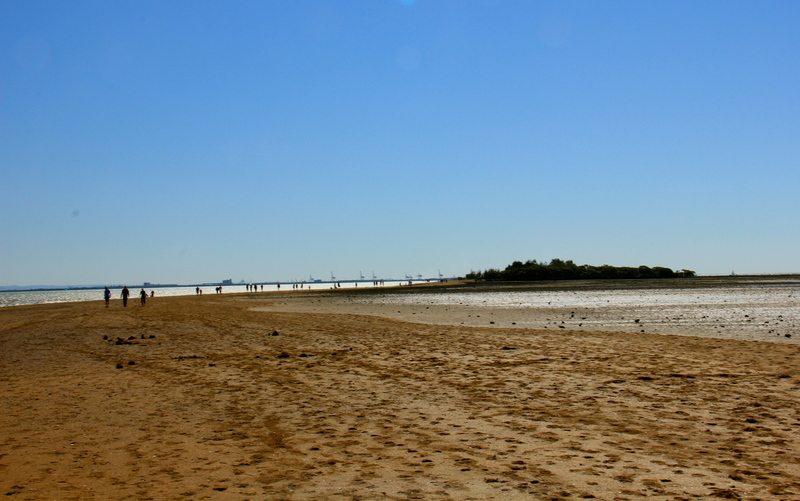 It is only accessible during low tide when a sand bridge is uncovered and tourists and locals alike walk over to the tiny island. 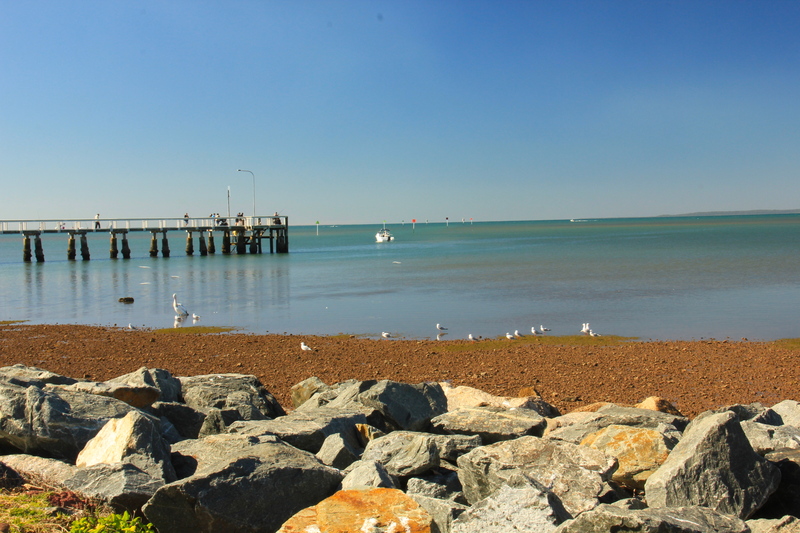 One Saturday we packed a picnic lunch and drove down to Wellington point. We circled the crowded car park a couple of times before finding some empty parks. Hopping out, we sat ourselves down on a grassy area off to the side and looked out over Stradbroke Island. After a mug of vino (yes mug, we were packing light), we walked around the small picnic area and over the sandy walkway. As it was such a fine day we had a nearly uninterrupted view of the beautiful surrounding suburbs, headlands and far off in the distance cranes from some industrial areas. There were massive yachts, wind surfers and jet skis and on one side of the bridge, a muddy flat area. We walked to the island and walked back in a little over an hour. A word of warning, barefoot is best. This little day trip definitely wasn’t the most interesting trip we’ve ever taken; however, it was a lovely short day trip and fantastic way to spend a warm and sunny winter day in Brisbane. This entry was posted in QLD and tagged Australia, Barefoot, Brisbane, day trip, King Island, nature, outdoors, Picnic, picnic lunch, Queensland, Stradbroke Island, Sunny, Wellington Point, wind surfers, Winter on August 18, 2013 by monicabugno.